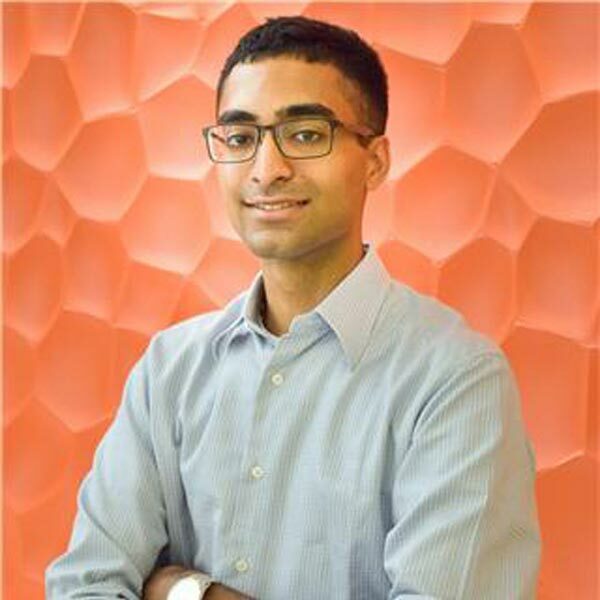 Mukund Mohan, an economics major with a passion for public health issues, is on a mission to "change the world.” A pre-med student and public health minor, Mukund is currently researching how to improve heart disease outcomes at Wayne State’s Integrative Biosciences Center (IBio). We sat down with him to discuss his undergraduate research and WSU experience. Future doctors don’t typically major in economics. Why did you? Economics is the study of human choice in a world of scarcity. Essentially, how do we respond when we can’t have everything we want? Economics is everywhere, and I’ve always been fascinated as to how seemingly unrelated things are linked. I believe majoring in economics has helped me see the problems of the world. I understand that there’s no such thing as a “simple solution” to fix systemic issues because that solution has ramifications that could trigger other unpredictable events. It’s important to develop this way of thinking in order to be able to tackle the big challenges we face. Tell us about your research in Wayne State’s IBio Center. I started with the Department of Emergency Medicine at the Wayne State University School of Medicine in February of 2014, assisting with studies regarding hypertension, or high blood pressure. As I became more and more involved, I was fascinated with the prevalence of “subclinical hypertensive heart disease” in our community. Essentially, 90 percent of all patients that presented to our ED with high blood pressure and no cardiovascular symptoms actually had cardiac abnormalities. These abnormalities would worsen and eventually, the patient would be diagnosed with heart failure. After a patient is admitted to a hospital for heart failure, their average life expectancy is about 2.5 years. By intervening early, we can predict the onset of heart failure and prevent future adverse events. This is especially important in our community because African American patients are disproportionately affected by hypertension. In Detroit, African Americans have an average age of being admitted to the hospital with heart failure that is 20 years younger than the national average. I’m currently studying the progression of subclinical hypertensive heart disease into heart failure, as well as incorporating a public health mindset and developing coordinated care programs to help the patients get the help and resources that they need. Why do you think conducting research as an undergraduate student is important? To me, the purpose of research is to follow your curiosity. Regardless of what career you want, being curious and conducting research will help you in your endeavors. It helps you to gain a deeper understanding of the way the world works, and to take your education beyond the walls of the classroom. You get to make your education personal, relating to what you are interested in learning about, and will also help you understand the material that you are studying in school. It's been said that you plan to "change the world." How? In the United States, healthcare costs are more than 17 percent of GDP, an increase of more than 5 percent from the year before. This means that for every $100 worth of goods and services produced in the country, $17 is going towards paying for healthcare. This isn’t sustainable, and if uncontrolled, will be very bad for all patients. I believe one of the main issues is that all the agents in the healthcare system have different incentives – physicians want what is best for the patient, device manufacturers and pharmaceuticals might want to maximize their profits, hospital systems want to generate enough money to stay in business – essentially everyone is on a different page. What if we could get everyone involved in making health a priority and give them the tools to succeed? This will require cooperation from health officials, city leaders, community organizers, and everyone in between, but our current system is due for a change, so it’s important to get as much input and support as possible for sustainable change to occur. In 10 years, I plan to be a physician actively involved in the community I’m working in. I really look forward to building bridges between the hospitals and the patients within the community in an effort to improve health. Currently, I’m continuing my research in public health and emergency medicine in an effort to develop more effective treatment methods that both improve the health of patients as well as reduce total health care expenses. Tell us about some of your volunteer work. My first experience volunteering in Detroit was at the S.A.Y. Detroit Family Health Clinic, a clinic that provides care to homeless and uninsured woman and children. I was able to see the problems many of these patients face first-hand and it really opened my eyes to how insufficient our healthcare system is. I remember one lady who was upset because even though she was working two jobs, she couldn’t afford new health insurance plans. However, she was earning too much to qualify for Medicaid from the government, leaving her to come to our clinic because she had nowhere else to go. No one should have to choose between putting food on the table for their family and their health. Have you had any standout professors? I will be grateful to all of my WSU professors as they each have influenced me on my journey, but Dr. Phillip Levy, my mentor, has had a tremendous impact on me. Dr. Levy taught me to look at a problem from many different perspectives and to pursue all avenues when developing solutions. He showed me the impact I can have on patients and inspires me to continue to do my part in improving health for all patients. Dr. Levy has given me many opportunities to pursue my interests, guiding me and setting me up for success when I face challenges. I’m incredibly thankful that I got the opportunity to work alongside him. I chose Wayne State because I wanted to make a difference and stand out. No other university offers the same opportunities that I have had here at Wayne State. Regardless of what field you are interested in, Wayne State students are uniquely positioned within the community and have the opportunity to really make a difference from the very beginning. The entire Wayne State community has a collaborative mentality, where your peers encourage you to perform at your best. Get involved early! Being involved in extracurricular activities will greatly improve your experience here. You meet so many wonderful people and gain exposure to many things that you might not have had a chance to explore before. Go and see what’s out there and take advantage of every opportunity you get. You never know where things might end up!